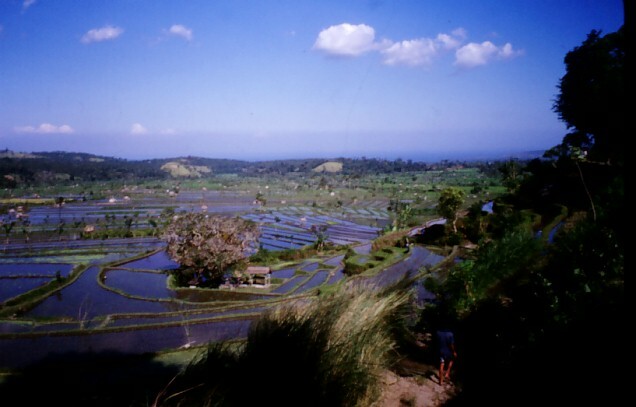 The road from Candi Dasa to Amed takes you through the lush Balinese countryside, with rice fields to the left and right. 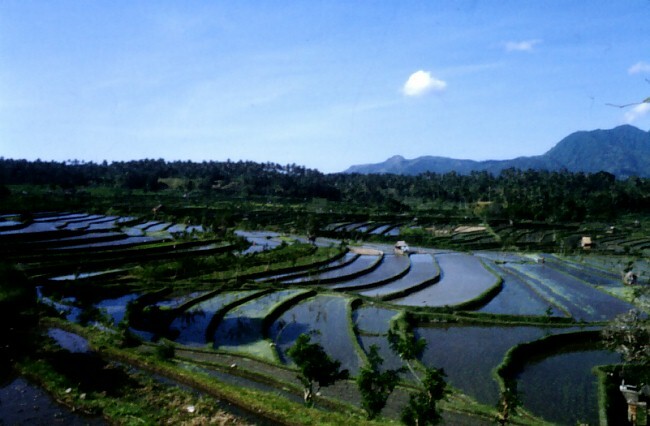 Everywhere you looked were rice fields in various stages of growth, and everywhere water. No wonder it was so humid here! You can see the sea in the distance, and little shelters nearby where the rice farmers can take shelter from the rain. Everywhere water - we'd read about how far water travels in Bali from the springs in the mountains to the sea - I forget the numbers now, but it's an astonishing distance. Even though as the crow flies it's less than a hundred miles, the water travels thousands of miles, because of how intricately it is diverted to irrigate every square inch of land, it seems. 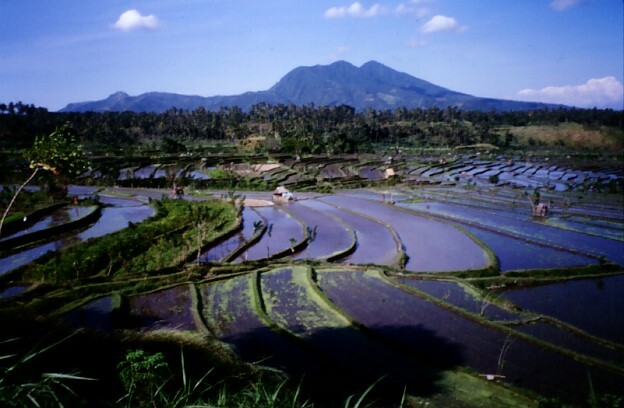 The mountain in the distance is the sacred mountain of Gunung Agung, on whose slopes the mother temple Besakih sits. It is a volcano, whose ash has made these fields so fertile.